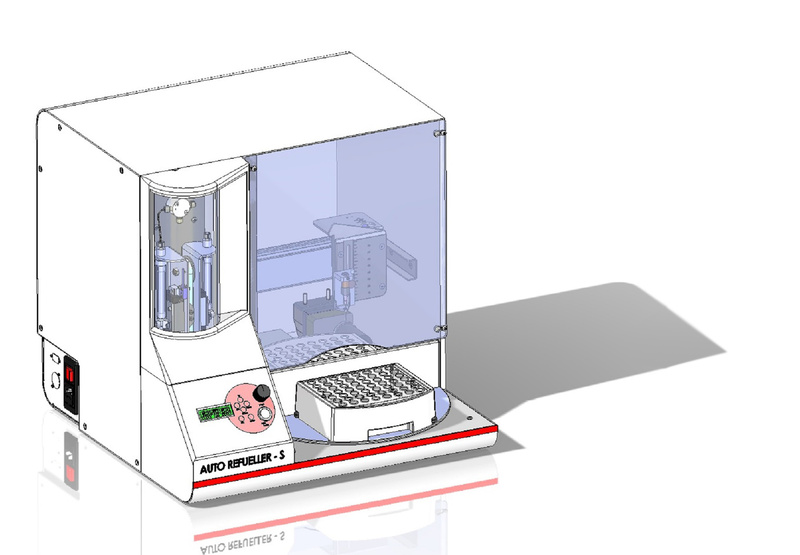 The following three examples of medical devices for in vitro diagnostics are composed of modular assemblies. 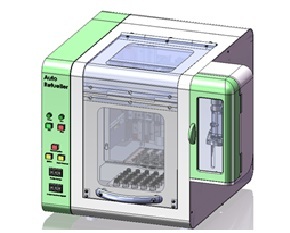 This allows cost-effective production of compliant medical devices in series. Analysing equipment for research into pathogenes, mycotoxines and bioweapons. Filling of small containers with reagents. 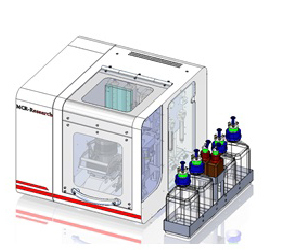 Actual application: >br> Processing of medical test series.